Continuing economic uncertainty, intense competition and enormous political, technological, environmental, and businessrelated challenges, as well as the knowledge revolution have given rise to disruptive innovations. The only way to thrive in these unusual times is to adapt collectively to the ever-changing demands of the industry and economy. For countries to keep pace with the changing times and stay competitive globally, it becomes imperative to engage the masses by making them employable and employed. Thus, skills are the only seemingly global currency in this century. The capacity of nations today is linked to how rapidly and effectively they can skill their people. The 20th century was marked with the setting up of brick-and-mortar universities and colleges for this purpose. However, it is clearly evident that these institutions alone will not be sufficient to address the vast need-gaps and ever changing requirements of the 21st century. Massive Open Online Courses, or MOOCs, present a unique opportunity to address all these challenges. In 2011, the academic world experienced a revolution in content distribution and teaching methodology when MOOCs emerged as the next big thing in distance education. Although the concept of online education has been around since the advent of the Internet, MOOCs attracted a larger audience due to their interactive content, global access, and, most importantly, free quality education. In a world where Ivy League education is considered the panacea for an ailing global economy, MOOCs made it possible to receive such an education in the comfort of your home. • In 2011, Stanford University offered the first xMOOC – Introduction to Artificial Intelligence – taught by Sebastian Thrun and Peter Norvig which registered an enrolment of ~160,000 students. MOOCs can be categorized as connectivist MOOCs, or cMOOCs, or xMOOCs, where cMOOCs can be defined as a network of individuals sharing knowledge on a common topic. The prime objective of cMOOCs is to facilitate communication between users and thus tends to be dynamic in nature. Using digital media, enrolled participants interact with their peers to clarify doubts, complete assignments, and share knowledge. xMOOCs, on the other hand, tend to be the extensions of certain courses or concepts. Generally offered by universities as an introduction to a particular course or topic, xMOOCs familiarize its users with the fundamentals by using lecture videos and course content. In 2002, following the concept of Open Educational Resources (OERs), MIT launched its Open Course Ware (OCW) project which was followed by similar projects at other elite American Universities. With over 125 million visitors and online materials corresponding to over 2,150 courses, the OCW project can be considered hugely successful and a pioneer for MOOCs. Salman Khan, an MIT and Harvard alumnus, launched Khan Academy in 2006 which featured Internet-hosted videos on various subjects like mathematics, history, healthcare, medicine, finance, and biology and garnered more than 440 million views. These concepts are widely regarded as the precursor for the MOOCs movement. Since 2012, several educational organizations started offering online courses on a plethora of topics. Several other universities also started offering their content online in order to reach a wider audience. Despite the ever increasing number of players in the MOOCs space, three are considered the most important actors, viz. Coursera, Udacity, and edX. Most MOOCs players are currently following a freemium model wherein content is used to drive traffic while a premium is charged for additional services (or add-ons) which become the main source of revenue. These additional services can be directed towards end users via offering certification, one-onone mentoring, career counseling and placements, or towards partners by charging licensing and hosting fees. Several other revenue options, such as accreditation, are currently being explored by MOOCs providers. The universities like Georgia Institute of Technology have teamed up with Udacity and AT&T to offer an accredited Online Master of Science in Computer Education (OMS CS) at minimal cost (around $7000). Even players like Coursera and edX are exploring accreditation with the recommendations of the American Council on Education’s College Credit Recommendation Service (ACE CREDIT), which are taken into consideration by over 2,000 universities and colleges for transfer of credits. Quality education in India is highly restrictive in nature and only a few who have adequate resources and are willing to put in enormous efforts get access to it. In the current scenario, if the student is not among the top 1-2% of the country, the entry to elite institutions within India is difficult. This situation is changing, with the increase in number of private universities and colleges. At the same time, the employability of some of the students graduating from these private colleges is in question as their curriculum design and delivery may not have been benchmarked against the best. At the same time, at the current growth rates in the education sector, there will be an enormous need for funds and land to set up such institutions, a requirement that will be largely prohibitive in nature. It is estimated that $200 billion will be required to meet the additional intake demand across education segments. Therefore, the traditional model of education may seem ineffective in meeting the future requirements of the country. Across the world, public and private bodies are experimenting with newer learning models to capture this market. We have made an attempt to evaluate these models for India. MOOCs, which have been touted as the game-changer in this domain, quite efficiently address many challenges of the current system. However, its impact on the efficacy in terms of student engagement and learning is still questionable. This gets reflected in the low completion rates in most MOOCs offerings. It is therefore questionable whether MOOCs will be able to reroute India’s leviathan education system. There are challenges as well with MOOCs, including the absence of an experiential learning framework and imparting employment as one of the key outcomes. We believe that the Minerva project, begun in the West, could well be the next most significant model, even within the Indian landscape. Minerva provides higher education to the world’s brightest and most motivated students, completely online. Each class is capped at 20 students and these students travel across the world to gain experiential learning. Most importantly the application-to-intake ratio is among the highest in the world. Similarly, Udacity and Georgia Institute of Technology offer a complete online MS Program in Computer Science. Concepts like these are often categorized as Small Private Online Courses or SPOCs. The various stages of education highlighted above lend themselves differently to a MOOCs solution. Some education needs like K-12 cannot be fulfilled with MOOCs while, for others like test preparation, an immediate solution seems possible. MOOCs could also provide solutions in terms of decreasing the costs of some of these education components and play a major role in promoting equity and access. 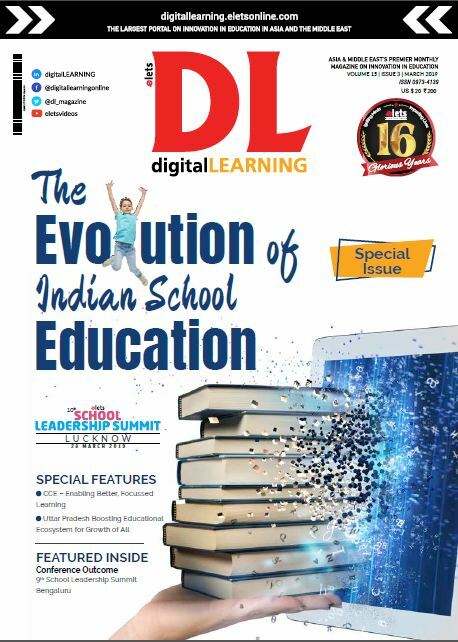 A detailed assessment and possible MOOCs interventions for each of the above stages of education have been highlighted in the following sections. private players, as well as time is needed to fill the prevalent demand-supply gap. content quality, lecture delivery, and resource utilization.